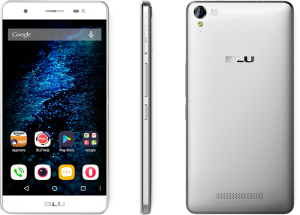 On the following tutorial we will teach you how to reset Android in the BLU Energy X Plus, and clear it from slowness, errors or forgotten lock patterns: Your BLU Energy X Plus will reset into its factory settings. Before you start with the process of Android resetting on your BLU Energy X Plus, you need to charge the battery up to at least 80%. Use the first method if you still have access into BLU Energy X Plus application menu. If your BLU Energy X Plus has an active locking pattern that you may have forgotten, or perhaps a serious error in the Android operating system you can only apply the second method. If you have IMEI blocking or you want to delete a previously added (and now forgotten) Google Account, we’re sorry: none of the methods presented here will fix your BLU Energy X Plus. To reset Android in your BLU Energy X Plus you must enter the application menu and select Backup and Restore, go to the option Reset factory data, select it and read the additional options. When you are ready press Reset phone. Read the warnings and press Clear all, confirm and the process will begin automatically. In minutes you will see the welcome screen, which means that the process has finished running correctly. Turn off your BLU Energy X Plus and wait a few seconds to continue. If everything goes well, you will see the initial menu. When you do, turn off and restart your phone to complete the process. By now, having followed this tutorial, you should have managed to reset Android in the BLU Energy X Plus, but if you have any questions, write us in the comments or our social networks. We’ll teach you how to successfully reset Android by using two different methods. Before you start you should charge your LG G4 Stylus up to 80% battery in order to avoid an unexpected power failure that could damage the Android operating system. Using the first method you can reset your LG G4 Stylus by using the settings menu, so you will need to have access to the Android operating system. In case you do not have access to the Android operating system because of a serious error or a blocking pattern you can not remember, you can apply the second method. However, bear in mind that if you want to unlock IMEI or remove a Google account already present on your LG G4 Stylus, none of these methods will work. 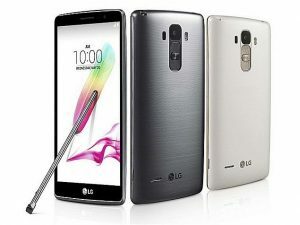 To reset Android you must enter the settings menu in your LG G4 Stylus and access Backup and Restore where you will find the option Reset factory data, and then tap Reset phone. Press Clear all and confirm. The process will take place automatically and in just a few minutes you will see the welcome screen. That means you have successfully completed the reset process! Press the minus volume button and at the same time hold down the power button. Release both buttons when the Recovery menu appears on the screen. Use the volume buttons to move through the options until you reach “Wipe data / Factory reset” and press the Power button to confirm the option. Repeat the previous step to select the option “Yes – Delete all user data”. The process to reset Android will take place and when you finish you will return to the main menu. Press the power button again to select “Reboot system now“. Your LG G4 Stylus will restart normally. If everything went well in minutes you will see the welcome screen which means that you have managed to reset Android in the LG G4 Stylus, your questions are answered with pleasure in the comments area. 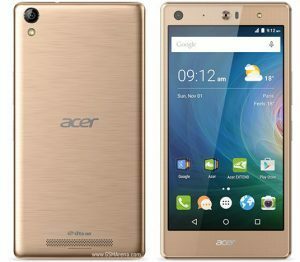 In this tutorial we will teach you how to reset Android in the Acer Liquid X2 in such a simple way that it will seem like child’s play. You can reset Android to get rid of slowness, errors or even if you have an active locking pattern that you have forgotten in your Acer Liquid X2. However, this procedure will have no effect to remove a previously entered Google accounts, nor does it eliminate IMEI locks. Your Android operating system will be completely clean, free from custom configurations, which will be ideal to give or resell your Acer Liquid X2. The two methods presented require that the battery of your Acer Liquid X2 be charged at least up to 80%, and in this way avoid an unexpected shut down that could damage the Android operating system. If you still have full access to the Android operating system, you should go to the first method. If there is a serious error or a lock pattern you do not remember then use the second method, it will be ideal to recover functions. To reset Android on your Acer Liquid X2 and return it to its factory settings, you only need to enter the applications menu and select the option settings application. Then go to Backup and Restore, and tap Restore factory data. Additional settings will appear, select the appropriate ones for your case and then press Reset phone. Select Clear All and confirm the option to start the process, which will take a few minutes and at the end you will have an Acer Liquid X2 as fresh from the factory. Do the same to select the option Yes – Delete all user data, the process will start automatically when you confirm the option using the power button. When the reset is finished, restart your Acer Liquid X2 by pressing the power button. You should now have been able to reset Android in the Acer Liquid X2, but if you have questions, please leave your comment and we will help you as soon as possible.